“Scotty” was my first vehicle. A 1978, the pickup was in remarkable shape in the early 1990s when I started driving it. My grandfather had purchased the truck new and it sat many years after he passed away. It was a Scottsdale model and picked up the nickname from my baseball teammate Lenny Green, who rode with me most days from school to the ballpark. As you might imagine, I have enough memories with Scotty to fill an armored truck. Summer nights were some of the best. We spent most evenings during the hot Western New York months looking for whitetail bucks throughout Allegany County. I loved it. While the passengers along for the ride varied, Scotty and I were the mainstays. Some nights it was Ward Craft with us, cousins Tom and Jeff made appearances, both of my brothers Doug and Mike came along from time to time, or other nights it was just my girlfriend and I burning gallons of gas looking for big bucks. Searching for these bucks had nothing to do with early-season scouting. I very rarely hunted anywhere other than our family land – never needed a reason to. That didn’t stop me from knowing many of the giant bucks that roamed throughout the area. 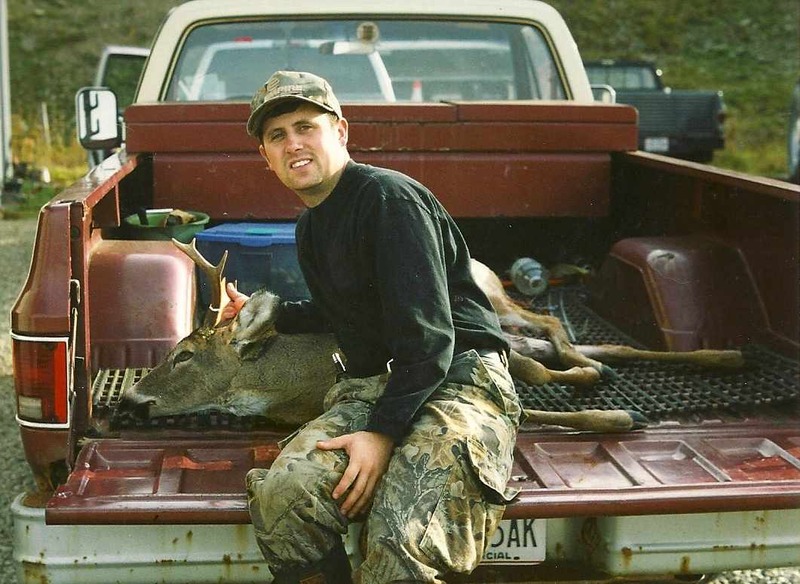 Finding bucks during the summer was almost like having another hunting season. Most evenings, my parents’ old-school video camera was in tow to document deer sighting via shaky hand-held footage. I ran across a VHS recently with a compilation of highlights from one summer in 1994. There were several great bucks that summer, but even more fantastic memories. None remain stronger in my memory than the night I videoed four mature bucks feeding together only 85 or 90 yards from the road on the Knapp Farm. One was a great buck, pushing 140″ as a 10 pointer. Gas prices make it much more difficult to hop in the car and go for a long drive to check out deer. Ironically, it’s one of the reasons my family chooses to live in Rowan County, N.C., instead of closer to Charlotte. We love the agriculture-rich terrain it affords us to be away from the city. I’m going to make it a point to go “hunt for deer” more this summer. I know my 3-year old would love to join too. Poor girl, she is sure to get sick of the old stories from yesteryear while we’re riding around. Here’s hoping she won’t get sick of hearing about Scotty though! This entry was posted on Sunday, July 24th, 2011 at 8:49 pm	and tagged with 1978 Chevrolet, Archery, Chevy Truck, deer, Whitetail and posted in 2011, General Tales, Uncategorized. You can follow any responses to this entry through the RSS 2.0 feed. « Reading, Writing, Arithmetic … and Deer!